Do you need alarm monitoring? Are you looking for an home security monitoring you can trust in an emergency? Do you need a professional monitoring service you can trust for your home security system – and your family’s security? Do you need alarm monitoring for your business security or fire alarm system? Do you need video monitoring? DM2 Security offers professional security system monitoring by a UL listed computerized Central Station. Highly trained professionals respond to your needs around the clock. DM2 Security’s state-of-the-art computerized central monitoring station is your lifeline when you have an emergency. That is the reason that everything about this facility is designed with world-class quality and full redundancy. A highly professional and highly-trained staff maintains the central station on full alert around the clock. They are always ready to take action when you have an emergency. This facility provides safety and security for critical facilities, hospitals, banks, government facilities, factories, business and homes throughout Pennsylvania. Our monitoring is accomplished by three redundant central station facilities. 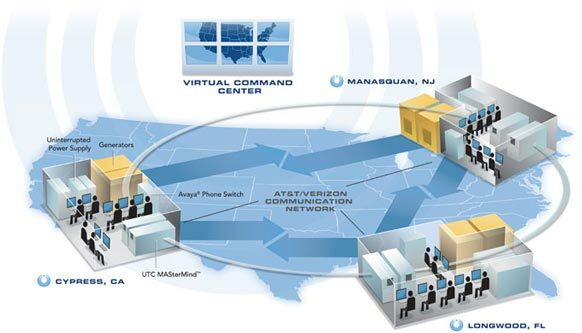 These facilities are located in New Jersey, California and Florida. If any one of the monitoring centers has a problem, one of the other monitoring centers takes over within seconds. 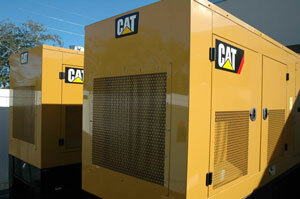 This redundancy is great to have when a major hurricane or other natural disasters strike. This facility is UL listed for fire and burglar monitoring. UL imposes strict standards for monitoring. Response time and telephone answer speed is tracked in “real time” which gives the supervisors the ability to react immediately, resulting in better service. 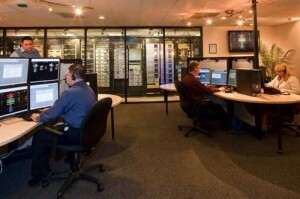 Computer automation prioritizes signals enhancing the response even more. With today’s technology, there is no excuse for downtime. Our central station has the very best technology available, as well as redundancy in every system. When your emergency signal is received, trained operators are ready to assist with nearly any event- a burglary, a fire, a pressed panic button, a hold-up, a low battery in your system or an a/c power failure. If emergency services are needed, they are notified right away and the operator stays on the line with you until they arrive. If no emergency services are needed, they ask for your password and wish you well. This is simple but effective alarm monitoring at its best. World-class quality. Computerized automation. A highly trained professional staff. UL listing. Full redundancy. What does all of this mean to you? The very best security and your peace of mind.